Dr. Petrosino has received more than 17 million dollars in grants from the National Science Foundation, the Department of Education and the McDonnel Foundation for Cognitive Studies. His research interests include students understanding of experimentation, engineering education and the development of expertise. He is Co-Founder of the nationally recognized UTeach Program. He is a Learning Scientist and an Associate Professor of Science and Mathematics Education and the Elizabeth G. Gibb Endowed Fellow at The University of Texas at Austin. He received his Ph.D. at Vanderbilt University where he was a member of the Cognition and Technology Group at Vanderbilt (CTGV) for five years. While doing his doctoral work, Petrosino was a NASA Space Grant Fellow funded through the Department of Mechanical Engineering. He was a seven year member of the NSF funded VaNTH ERC and a Principle Investigator of a Department of Education funded PT3 grant. Petrosino taught secondary science for seven years and is a certified K-12 teacher of science. In addition he was an Assistant Superintendent of Schools for 2 years and was also a secondary school administrator for three years. 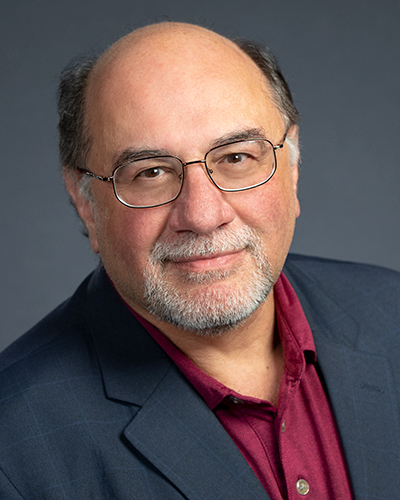 Dr. Petrosino has published over 40 peer reviewed journal articles, made over 100 national and international conference presentations and has supervised a dozen doctoral dissertations. His articles have appeared in the Journal of Science Education and Technology, The Journal of the Learning Sciences, Mathematical Thinking and Learning, Educational Computing Research, The Journal of Engineering Education, and The American Educational Research Journal. Petrosino, A. & Shekhar, P. (2018). Expert blind spot among preservice and inservice teachers: Beliefs about algebraic reasoning and potential impact on engineering education.. International Journal of Engineering Education, 34(1), 97–105. Petrosino, A. & Mann, M. (2018). Data modeling for pre-service teachers and everyone else. Journal of College Science Teaching, 47(3), 28–38. Lucero, M., Petrosino, A. & Delgado, C. (2017). Exploring the relationship between secondary science teachers' subject matter knowledge and knowledge of student conceptions while teaching evolution by natural selection. Journal of Research in Science Teaching, 54, 219–246. Petrosino, A. J.., Gustafson, K. & Shekhar, P. (2016). Integration in a Research Based Engineering Curriculum Using Enacted and Prescribed Frames. International Journal of Engineering Education, 32(No. 1 (A)), 219–229. Petrosino, A. J.. (2015). Decentralized Thinking and Understanding of Evolution in K-12 Education. Evolution: Education and Outreach, 8, 2–12. Walkington, C., Petrosino, A. & Sherman, M. (2012). Supporting algebraic reasoning through personalized story scenarios: How situational understanding mediates performance and strategies.. Mathematical Thinking and Learning. Svihla, V., Petrosino, A. & Diller, K. (2012). Learning to Design: Authenticity, Negotiation and Innovation.. International Journal of Engineering Education, 28(4), 1–17. Petrosino, A., Martin, T. & Svihla, V. (2007). Developing Student Expertise and Community: Lessons from How People Learn: New Directions for Teaching and Learning, Number 108: Jossey-Bass. Petrosino, A., Lehrer, R. & Schauble, L. (2003). Structuring error and experimental variation as distribution in the fourth grade.. Mathematical Thinking and Learning, 5, 131–156. Nathan, M. & Petrosino, A. (2003). Expert Blind Spot Among Preservice Teachers.. American Educational Research Journal, 40(4), 905–928. National Science Foundation- October 1, 2018 to September 30, 2021. ($999,953)- The University of Texas Austin (UT Austin) proposes a research-practitioner partnership (RPP) between and across six New York City public school districts to examine the degree to which co-design of curriculum, instructional practices, and teacher supports can build organizational capacity to support equitable computer science (CS) teaching and learning as called for by the CSforAll national movement. The project builds on the prior work of the UTeach Computer Science Program) which included creation of the UTeach CS Principle course and associated teacher professional development (PD). This work focuses on remaining questions about the organizational conditions and instructional practices that encourage broad student participation in CS, looking at underrepresented urban youth in particular. National Science Fondation- (DRL 1316653, subaward C00056306-3), September 1, 2018 to August 31, 2019. ($20,000) - This project addresses the growing need for research to support teachers in developing expertise in responsive decision making in which teachers elicit and build on children's mathematical thinking in the midst of instruction. Specific objectives include characterizing grades 3-5 teachers' responsive decision making in the domain of rational numbers, investigating how professional development can support the development of this form of teaching expertise, and exploring the relationship between degree of teachers' responsive decision making and student learning. Theoretical and practical contributions of this project address the discrepancy in the field's capacity to produce research-based knowledge about children's thinking versus provide resources to take up and effectively use this knowledge. The primary organization is The University of Texas at Austin, and major partner organizations include the University of North Carolina at Greensboro, SRI International, and Teachers Development Group. National Science Foundation- with Co-PIs Walter Stroup (University of Massachussetts-Dartmouth), Uri Wilensky (Northwestern University), & Corey Brandy (Vanderbilt University), September 2016 to August 31, 2019. ($457,755) - This project will advance efforts of the Innovative Technology Experiences for Students and Teachers (ITEST) program to better understand and promote practices that increase students' motivations and capacities to pursue careers in fields of science, technology, engineering, or mathematics (STEM) by designing, developing, implementing, and studying a socio-technological system for group-centered STEM teaching and learning consistent with a nationally recognized pre-service program. The project will use results from more than 30 years of research to demonstrate how network supported, group-based learning grounded in principles of Generative Design can improve learning for all learners, across racial/ethnic backgrounds. The project will also offer detailed analyses of activity designs and implementation strategies that will help pre-service teachers to develop more fully participatory and socially-supported approaches to classroom learning, using authentic STEM practices in group-centered learning environments. As a doctoral student in the Curriculum and Instruction - Social Studies Education program his research interests include informal learning spaces, public pedagogy, maps, historical memory, rural education, outdoor education, and museum education.